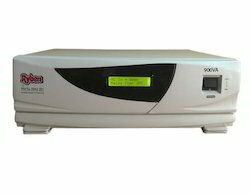 Pioneers in the industry, we offer ryben line interactive ups, ryben home ups and ryben 900va lcd sine wave home ups from India. To suit the demands of customers as a manufacturer, supplier, trader and wholesaler, we are engaged in offering Ryben Line Interactive UPS. Minimize electrical noise and spikes in case of mains, these models are designed and developed at our end in accordance with the guidelines laid in the industry. Apart from this, knitting a vast distribution network, we are able to dispatch our range on-time. 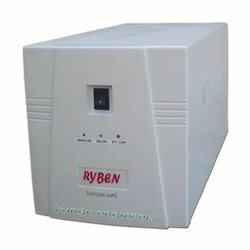 Taking quality as our prime concern, we are engaged in manufacturing, supplying, trading and wholesaling Ryben Home UPS. During power cuts, these products are capable of running electrical appliances, lights, computers and fans. 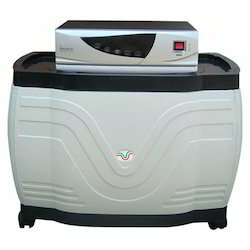 Demanded for offices, homes, institutions and various other places, we offer these products at industry leading prices. Looking for Ryben Home UPS ?